Jazeman Jaafar continues his season of sportscar racing with the second round of the Blancpain Endurance Series this weekend at Silverstone, the home of the British Formula 1 Grand Prix. 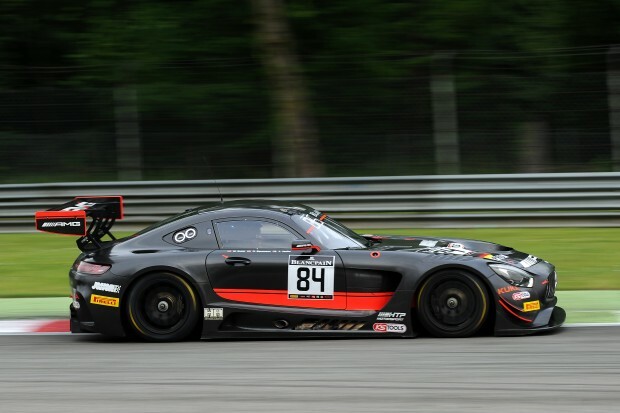 Driving with HTP Motorsport in a Mercedes AMG GT3, Jazeman sharing the No.84 car with German driver, Maxi Buhk and Austrian, Dominik Baumann. Silverstone is the home of British motorsport and the premier circuit in the UK, hosting the first round of the Formula One world championship in 1950 and has been the permanent venue for the British Grand Prix since 1987. The circuit has various configurations, but it is the Grand Prix circuit that is used for the Blancpain Endurance Series. At 5.89 km it is one of the longest tracks on the Blancpain GT Series calendar. Jazeman says of racing at Silverstone, “It’s one of my favourite tracks, as there are some great corners and it’s technically challenging. At the moment it is also my ‘home’ track as I’m based in the UK for my racing career. The atmosphere is always good at Silverstone as the British fans love their racing and are very knowledgeable about sportscar racing. I’ve had some great races at this track and have stood on the podium a few times, so I hope I’ll be back on it on Sunday. The practice sessions take place on Saturday 14th May, with qualifying on Sunday morning at 09.00 local time and the three-hour race later in the afternoon starting at 15.00. Both of the Sunday sessions will be shown live on the Blancpain GT Series website and will also be available on Eurosport Asia, check listings for times.